STV has announced it is to close its STV2 channel in June as part of a cost-cutting exercise. The Scottish broadcaster revealed 25 jobs are to be axed as a result of their restructuring exercise as the firm looks to save £1million per year. A further 34 positions will be scrapped with an additional £1m saved in other changes to its news output. This comes as part of a company restructuring in an attempt to put more emphasis on its online content. The company said: “Reflecting the challenging economics of local television and anticipated new competition from BBC Scotland, our loss-making STV2 channel will close at the end of June 2018, with content investment shifting to the STV main channel and STV Player. Simon Pitts, STV Chief Executive, said: As a result of the challenging economics of local television and anticipate increased competition from BBC Scotland, we have taken the difficult decision to close our loss-making STV2 channel to focus our future content investment on STV and the STV Player. The news comes after the BBC announced its new Scottish channel will launch in February 2019. 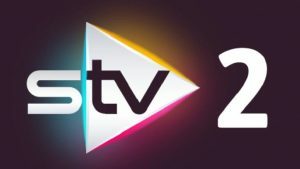 STV cited the fresh competition from the news and current affairs-focused project as one of the reasons for its decision.